Our “Most Pressing Decorating Dilemma” ? In addition to themed baths and elaborate birthday parties, we have important household responsibilities. Has your coffee table been sitting around un-styled? Come on you slacker. Get it together. 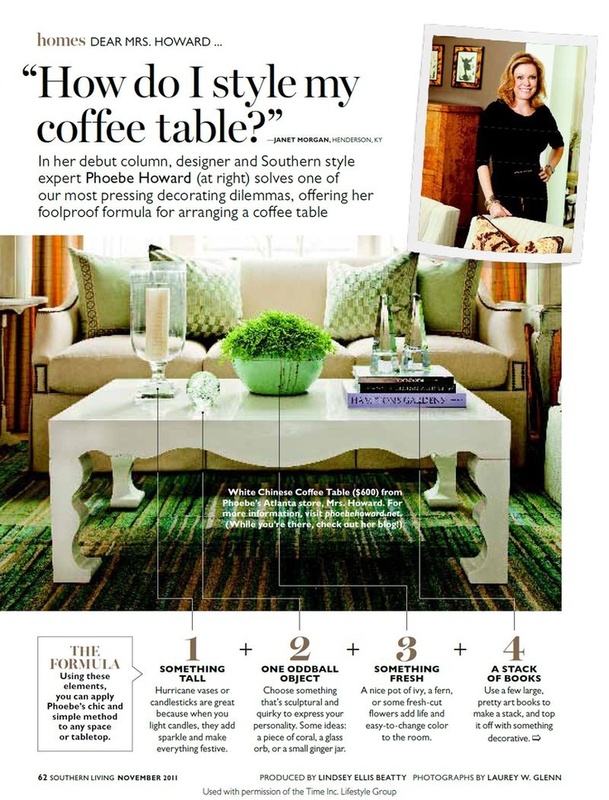 You can squeeze in some coffee table styling if you would just organize your time better. Thankfully, we have this article to help us with this priority. Don’t just sit there! Go! This entry was posted in just for fun by lookmom. Bookmark the permalink. If I had a coffee table you wouldn’t be able to see the top of it to “style” it! I don’t have one either, but the same would be true for mine. Although I might clear a place to put my feet.